The whole user growth rate of Weibo is slow down, but mobile Weibo user continue increasing. Yesterday, I introduced the summary of a report by CNNIC. Today, I would like to introduce the data of related social media market in China. The figure below is a data that is written about user number, utilization rate and growth rate of each internet services in China. According to this report, Instant Messenger is the most popular internet service in China, and it has about 445,149,000 users as of June 2012. 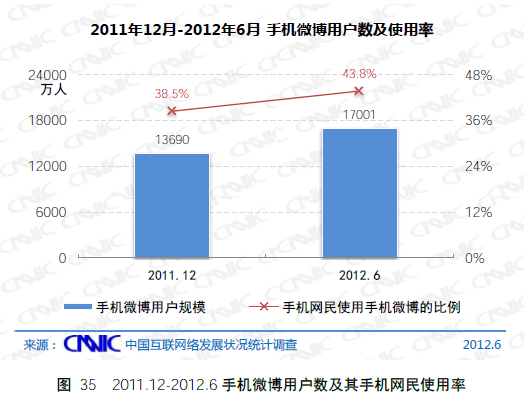 And Weibo have 273,645,000 users at the same period, but its growth rate is 9.5% compared to the end of 2011. Its growth rate of 2010-2011 was 292%, so it can be said that its growth speed is becoming slow down. 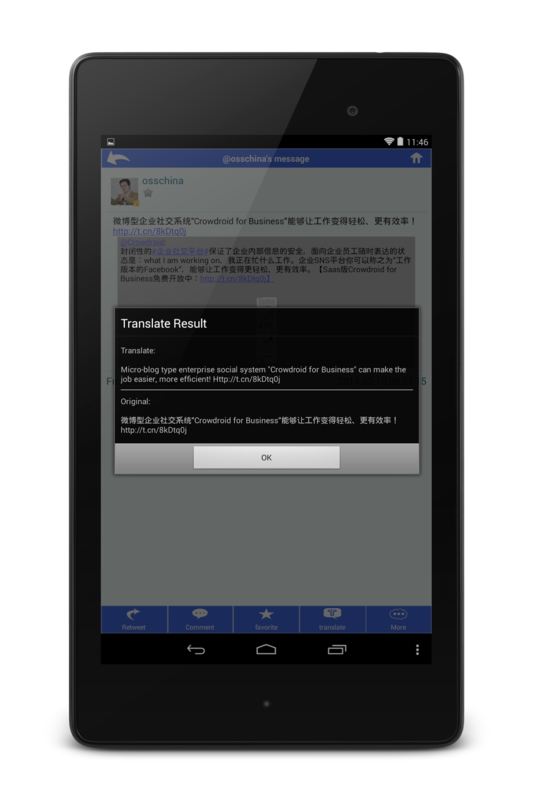 I'm not sure that its slow down is caused that users are boring Weibo or there are other reasons at this time. So we have to keep attention its trend. 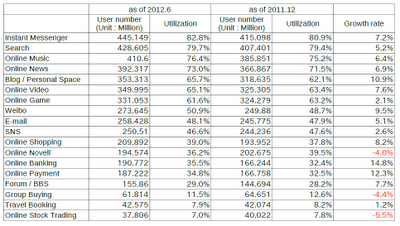 And SNS have 250,510,000 users at the same period, but its growth rate is 2.6% compared to the end of 2011. About SNS, its growth rate of 2010-2011 was 3.9%, so it can be said that its growth is remained flat. Next is the data that is written about mobile services. Instant messenger is the most popular service in the mobile field too, its utilization rate was 83.0% as of June 2012 in China. 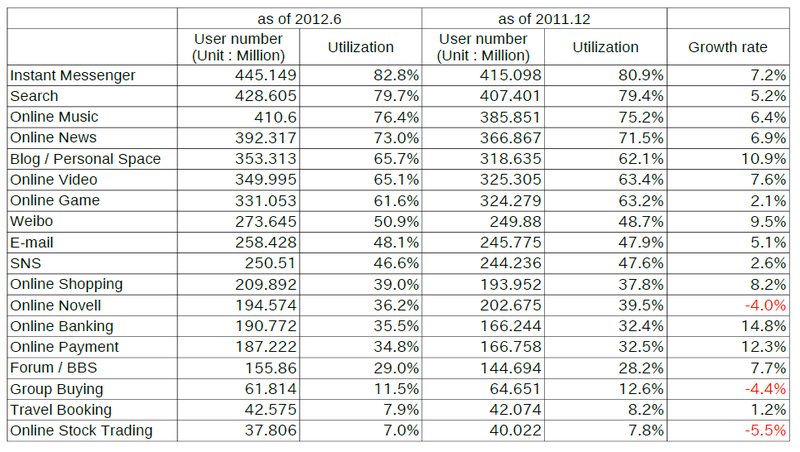 And the utilization rate of mobile Weibo was 43.8%, and the user number of it was 170,010,000 people as of June 2012. Mobile Weibo user increased 33,110,000 people compared to the end of 2011, so it can be said that users is not boring Weibo, but is shifting to mobile use. 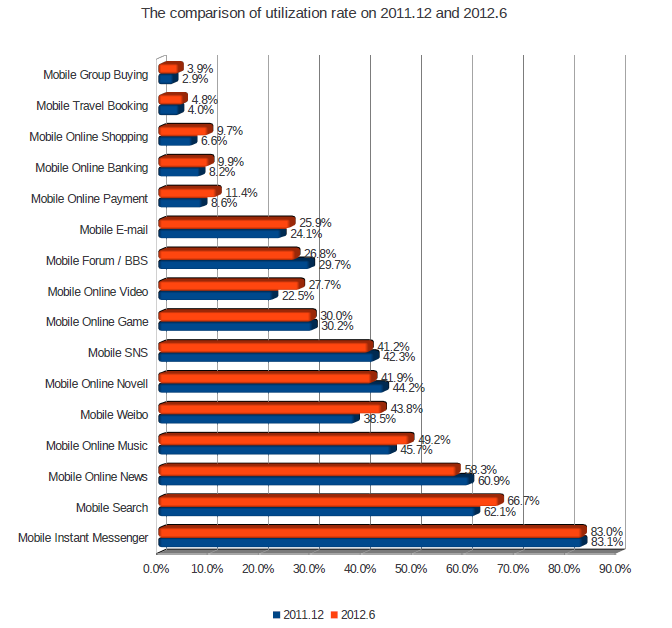 And the utilization rate of mobile SNS was 41.2%, it decreased 1.1% compared to the end of 2011. So it can be said that the growth of SNS is totally remained flat as I said.